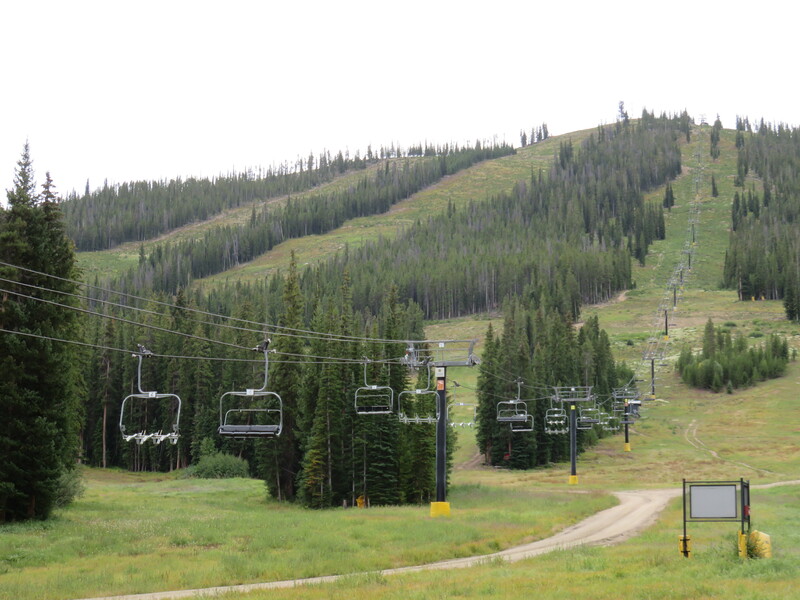 Uphill arrival side at the bottom. 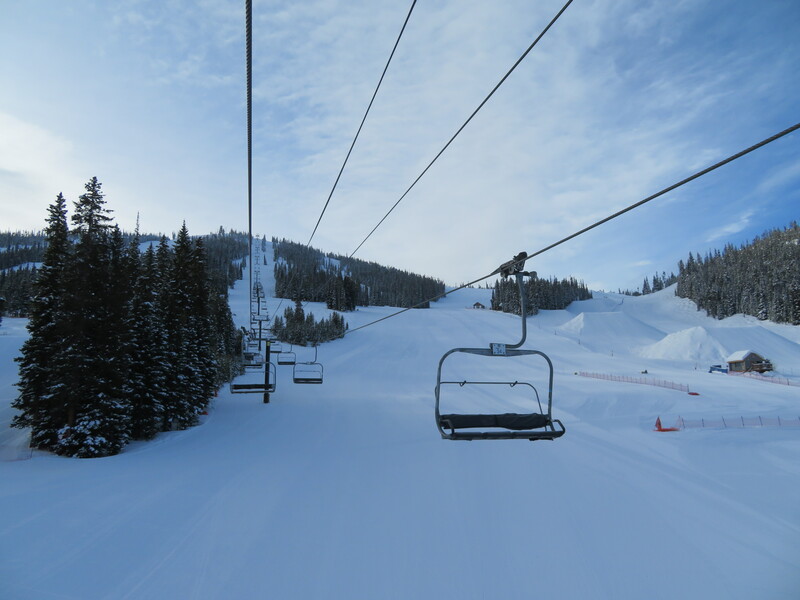 Riding up an empty line. 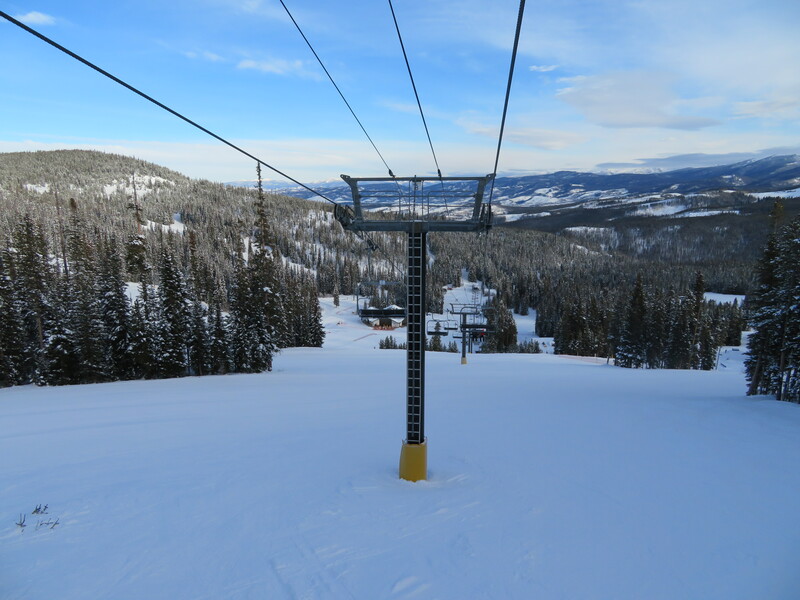 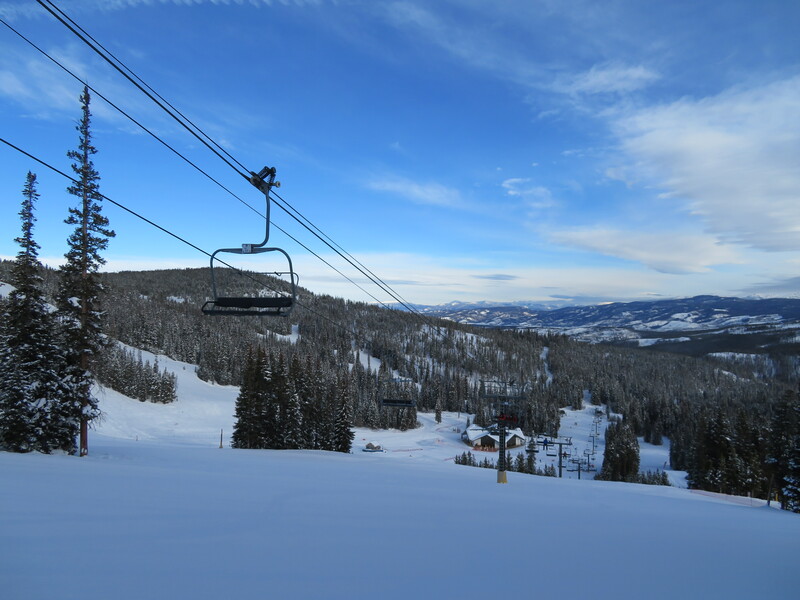 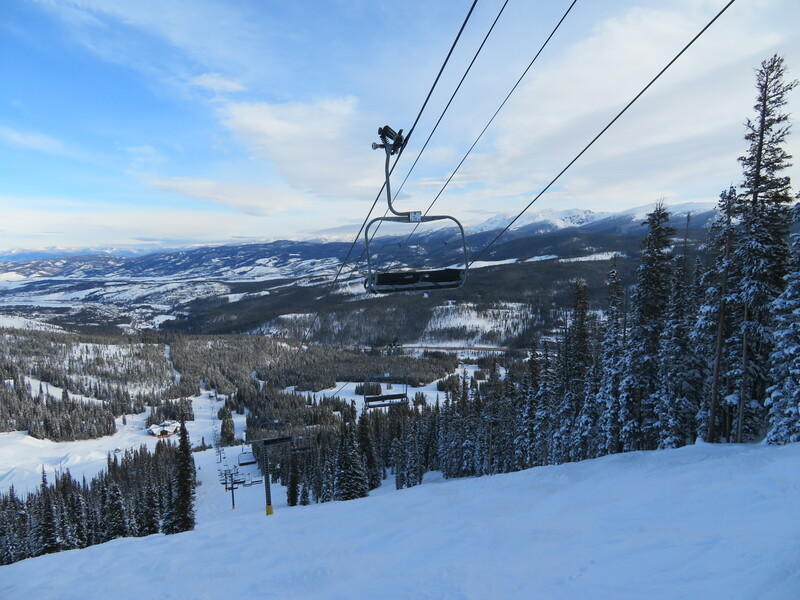 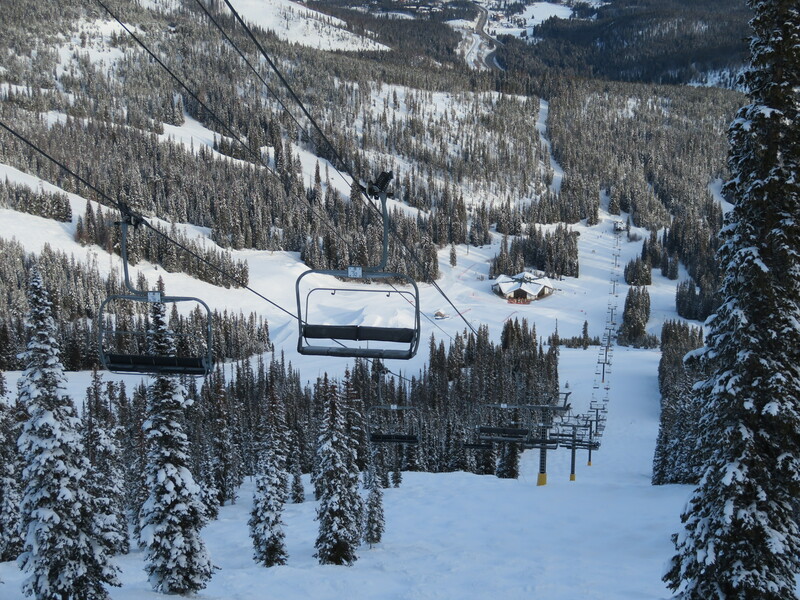 View down the entire lift line. 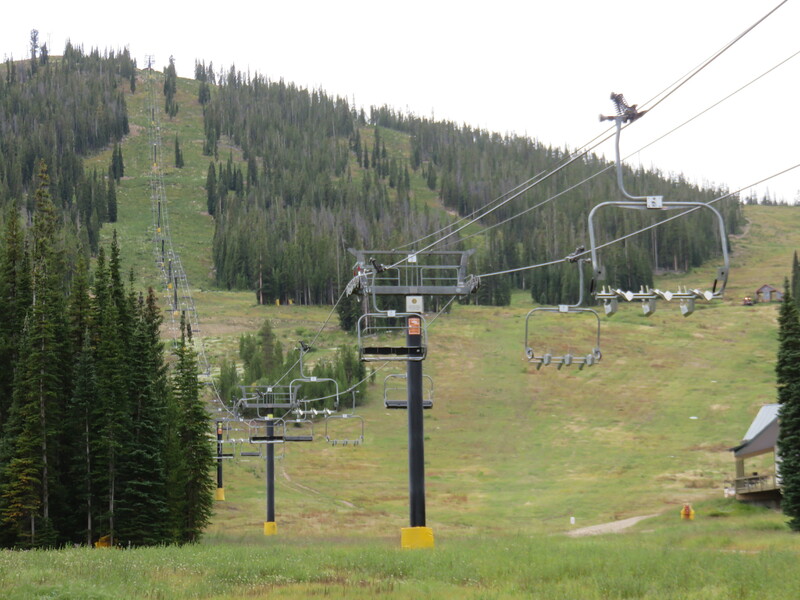 This was the site of the Eskimo Lift destruction test on the former Riblet double. 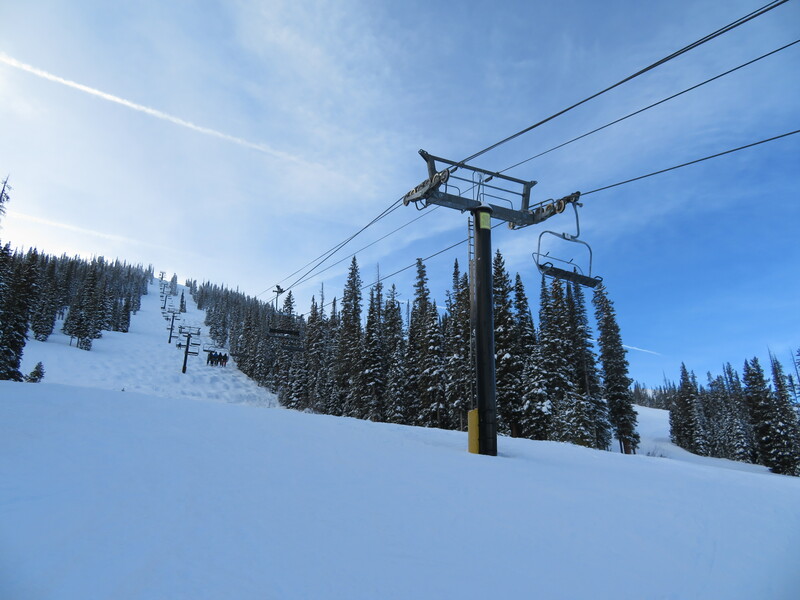 Lower lift line near Sunspot. 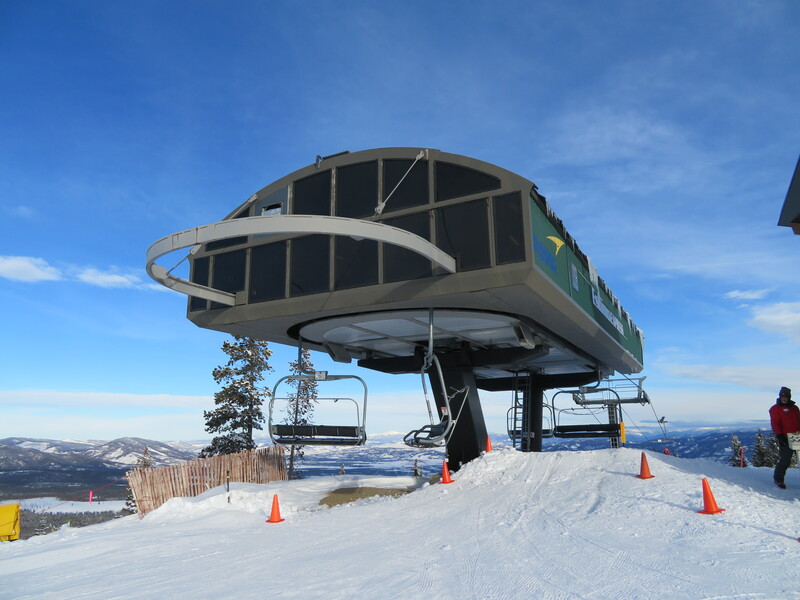 This is the third lift to travel up this alignment. 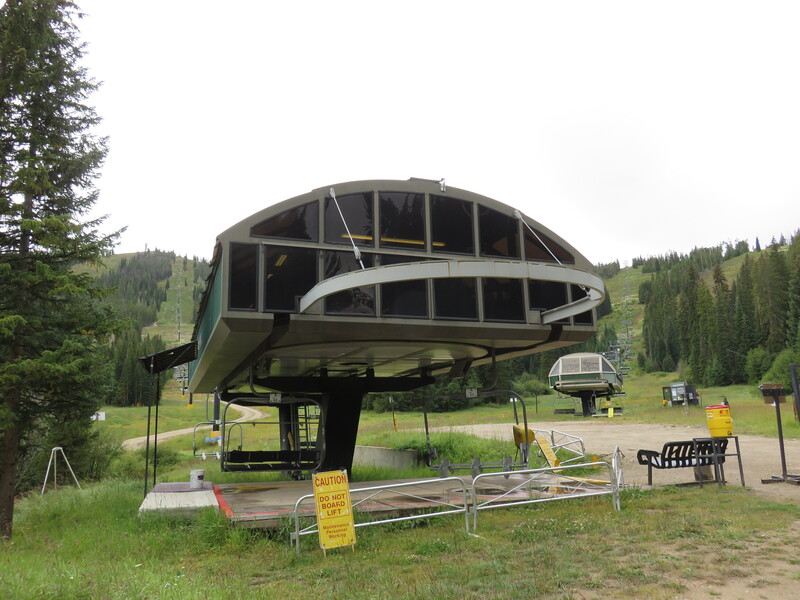 The first was the Riblet double chairlift that underwent the destruction testing in 1990. 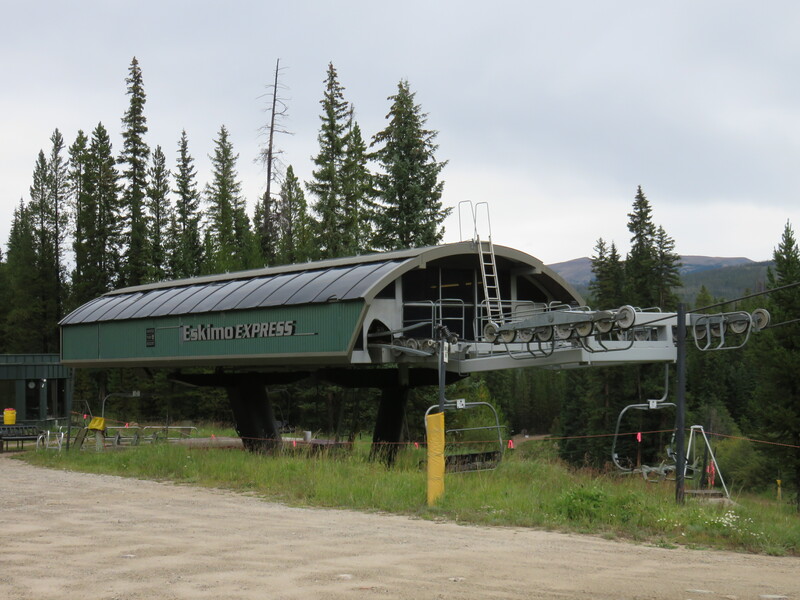 It was replaced with the original Zephyr triple chairlift displaced by the Zephyr Express. 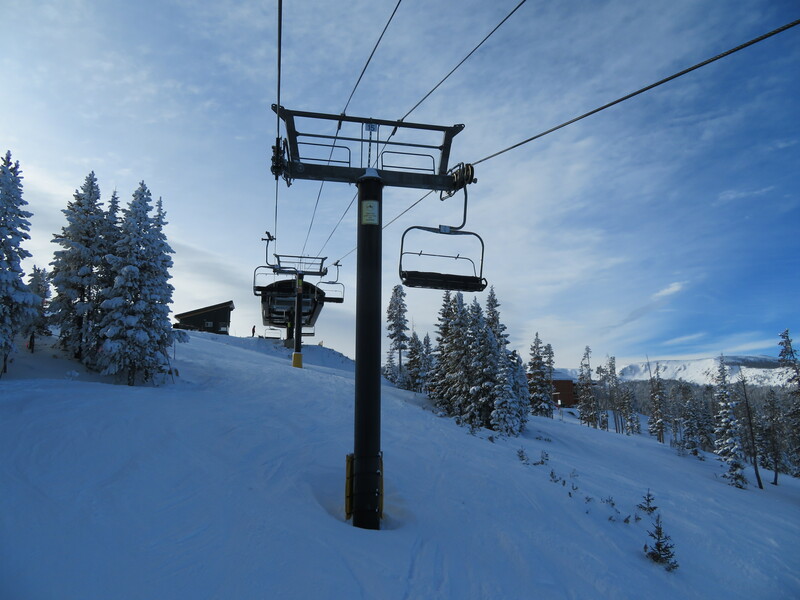 That was a Yan triple chairlift (and I think it was modified with Poma Competition chairs around that time). 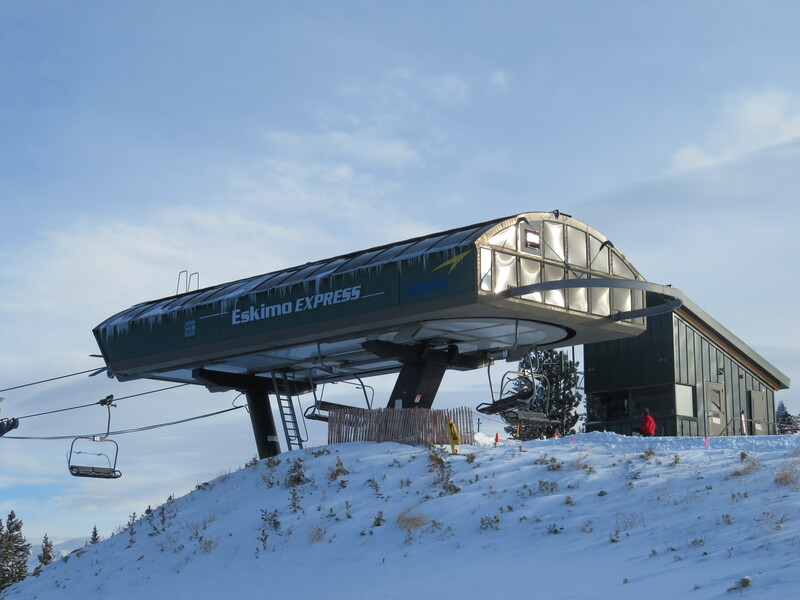 In 1999, the current Eskimo Express came in and the Eskimo triple became the Sweetwater lift at Jackson Hole, where it ran until the Sweetwater Gondola was built in 2016. 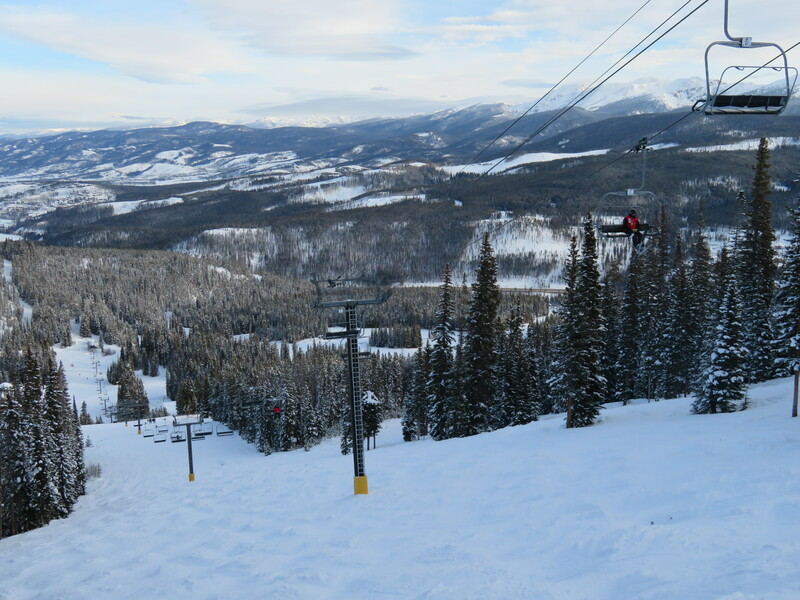 This is one of only two high speed quads at Winter Park that theoretically can run 1,000 fpm (the other being the Pioneer Express, but I don’t think that runs full speed much these days). 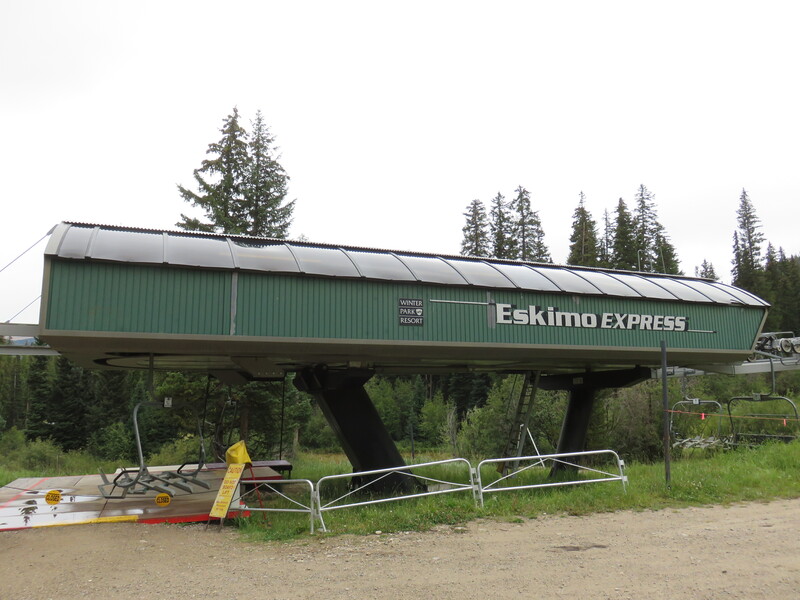 The other high speed quads have the shortened model of Challenger terminal, which caps their maximum speed at 900 fpm.